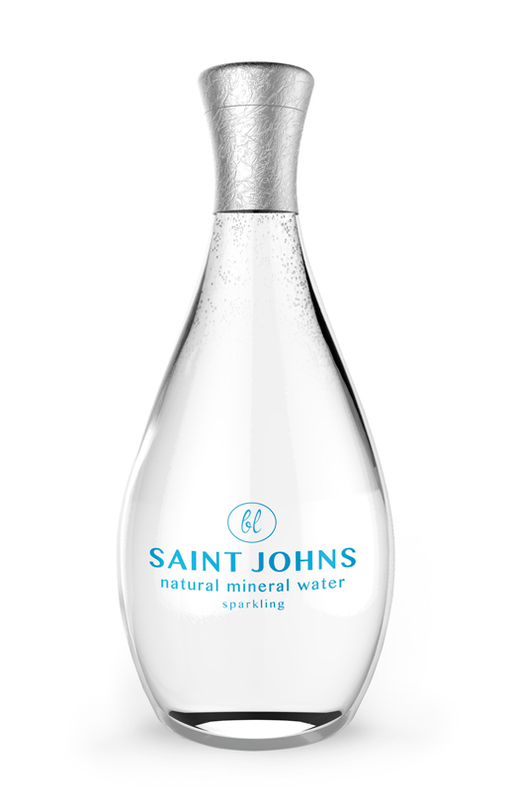 The client needed an elegant, stylish and luxurious glass bottle design for a high quality mineral water. Two different approaches were made. 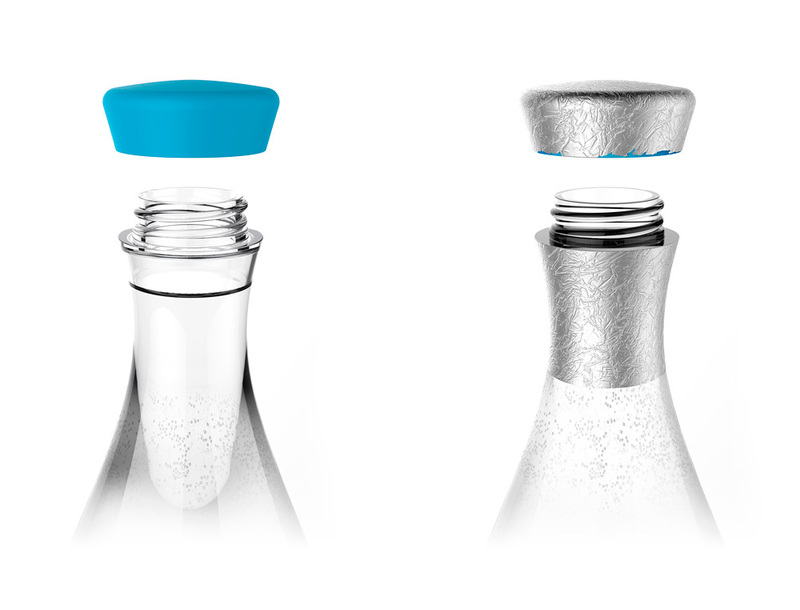 In the first case the bottle shape mimics the water characteristic to constantly change, resembling an iced stream. 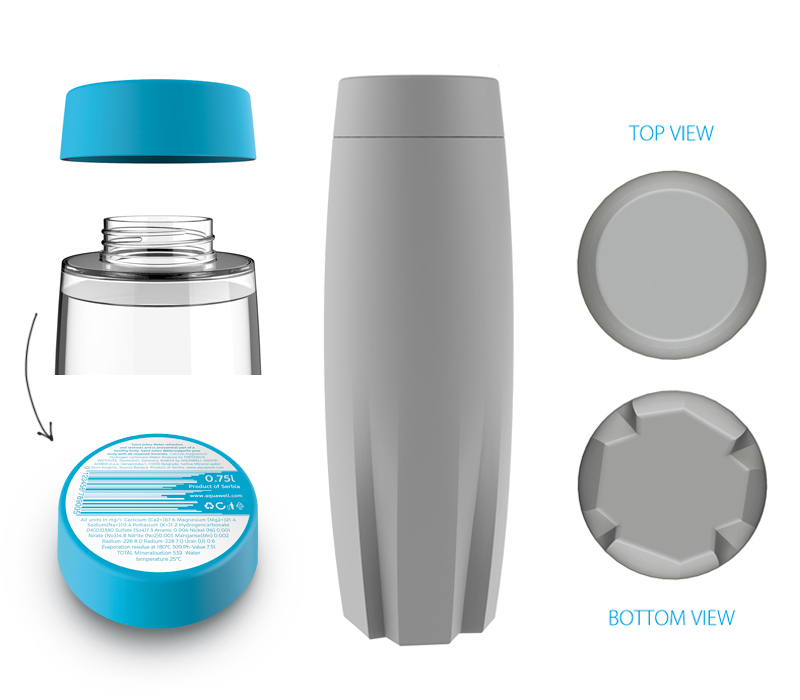 The bottle cap, lip and label are carefully designed not to upset the simplicity of form. The lip bore is larger in diameter than standard and constructed to avoid spilling when pouring water from a bottle. 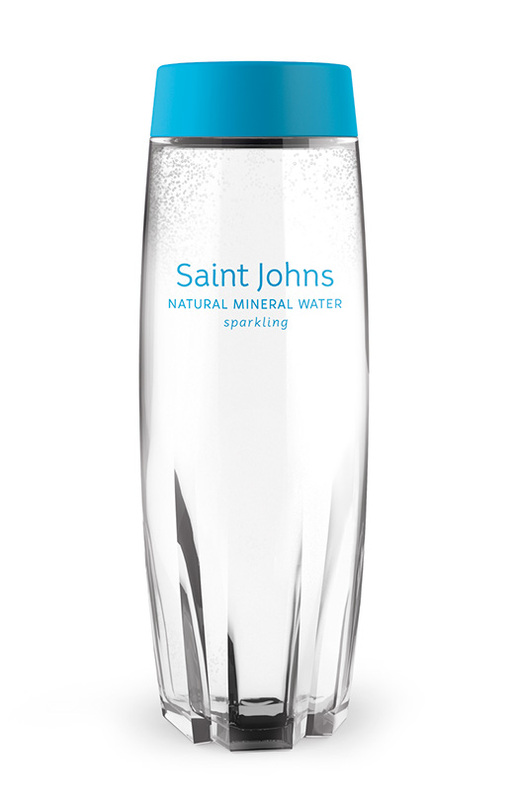 The cap contains a label with all necessary information leaving the glass surface clear, emphasizing the natural beauty of water. With the second, we suggested a clean, minimalist design with elegant details in order to emphasize the natural appearance of water. The custom made bottle cap is wrapped in textured aluminum foil along with the neck, aiming to achieve a more sophisticated way to seal the bottle.